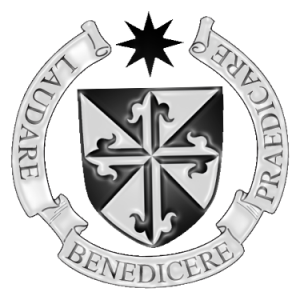 On August 4, 1221, St Dominic, the founder of the Order of Preachers, died. He was succeeded as Master of the Order by a man in his 30s, passionately enthusiastic about Dominic’s mission of preaching and teaching: Jordan of Saxony. Under Jordan, the Order grew rapidly, thanks to his unsurpassed ability to set the hearts of young people aflame with a desire to share in St Dominic’s mission. 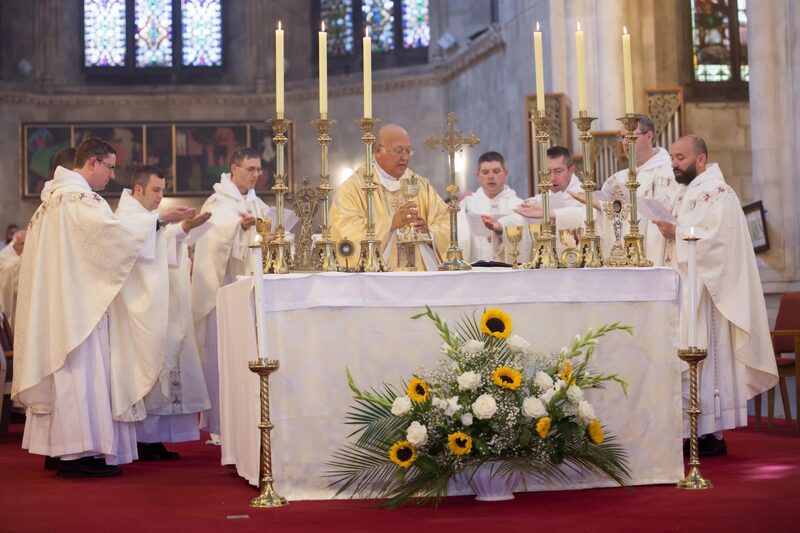 Wherever he went, especially universities, he would bring a bale of cloth with him to make new habits for the men who wanted to take vows as friars preachers! In 1223, in Padua, a small, stocky young Bavarian became the latest to fall under Jordan’s spell. The only thing that distinguished him at the time was a keen interest in falconry, but he was to become one of the foundational figures of modern science, and a great theologian too. His name was Albert. Albert was ordained a priest in 1228 and immediately went to Cologne to teach the Dominican students there. Teaching and research were to be his passion for all his Dominican life, and there were no subjects that were beyond his interest. Jordan had really found a gem in Albert: the Dominican mission was the preaching of Truth (Veritas) and Albert was always open to truth wherever he found it. 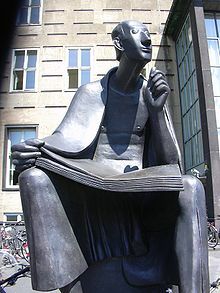 In his 30s, he taught all around Germany, until he went to Paris, the great centre of learning at the time. It was there that he discovered another talent, the young Neapolitan, Thomas Aquinas. He encouraged the young Thomas in his work, and their friendship was one of the most fruitful intellectual partnerships of the Middle Ages. The only break in his career of teaching occured when he was appointed bishop of Regensburg (against his will). There he kept up his itinerant ways, becoming known as the ‘bishop in clogs’ for all the walking he did! But after only two years, he asked for permission to return to teaching and research. Luckily for us, permission was granted. What marked Albert out from other thinkers of his time was his emphasis on observation. For him, the best way to gain knowledge about the natural world was through direct sense experience. It is for this reason that he is regarded as one of the founders of experimental science. He didn’t just have the right ideas about observation though, he put them into practice too! He produced an extraordinary amount of scientific work on topics like astronomy, chemistry, physics, meteorology, mathematics and logic. In one of his geological works, he included a proof that the earth was a sphere. He had a particular love for plants: he produced a catalogue of all the trees and herbs that were known at the time, and discovered the rhythmic life of plants. His curiosity knew no limits, and for this reason, he was known by his contemporaries as ‘Universal Doctor’ (‘doctor’ meaning teacher). In his youth, Albert hunted with falcons, but throughout his life he hunted for Truth, diligently, reverently and with love. St Albert the Great, pray for us! http://dominicans.ie/wp-content/uploads/2010/11/albertus-magnus.jpg 293 220 Luuk Dominiek Jansen OP http://dominicansinteractive.com/wp-content/uploads/2015/11/Crest-mod-300x300.png Luuk Dominiek Jansen OP2010-11-14 11:18:002010-11-14 11:18:00Hunter for Truth!